The New Rochelle Opera was formed for the purpose of presenting imaginative and appealing operatic productions in the Westchester community. It serves to create a deeper understanding and appreciation of live opera, and make it accessible and affordable to a diverse audience. The company presents the art form in its various aspects (e.g. 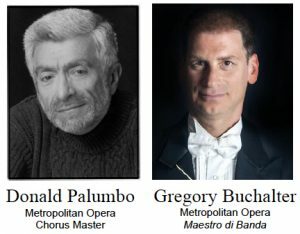 fully staged performances, opera in concert, school programs, opera workshops and demonstrations), engaging aspiring young artists as well as experienced professionals. We present one fully staged and orchestrated production each spring in New Rochelle, which is frequently repeated at other locations in Westchester. We also perform 3-5 concerts throughout Westchester during the year.